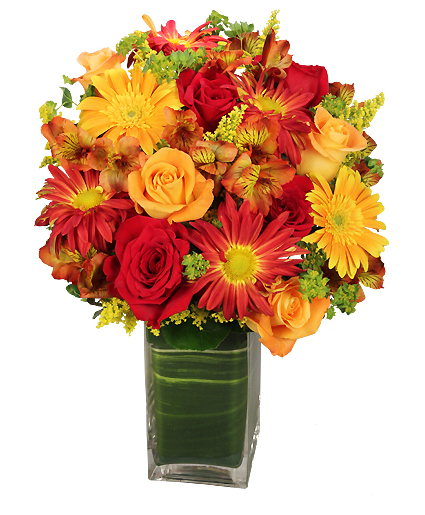 Feast your eyes on this visually stimulating Colorful Canvas arrangement from FLORAL AFFAIRS. We can help you add seasonal beauty to any birthday, anniversary, celebration or family gathering. 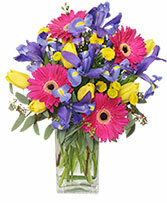 Call our shop or order Greenfield, MA flowers now from our website. THE ONGOING AFFAIR - A SMILE FOR EVERYONE! Doesn't this picture just make you SMILE? These amazing women come in to Floral Affairs every Wednesday to pick up their bud vase for only $3.00 per week! We also offer delivery to businesses!! For only $5.00 per week you can have a fresh flower delivered to your workplace. Call today for more information.